Simi Valley secure Web, WordPress & Email Hosting and Cloud Solutions by Thinking2. 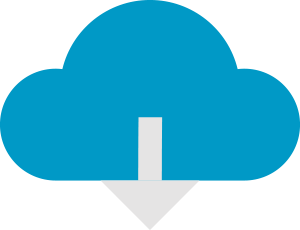 You rely on fast, efficient, and secure access to your online resources on the cloud. Thinking2 provides hosting for your company’s web and email needs using state of the art technologies that let you work efficiently and securely. Our Web Hosting is perfect for your small business or personal website. Your website deserves fast load times powered by solid state drives (SSD) with optimized site performance tools so your clients can access it with ease. Our strong infrastructure gives you one less thing to worry about, with daily backups, PCI compliant network, and deep packet scanning, you can focus on more important things…like running your business. Starts at $30/mo or 2 months free with annual purchase! Keep your site secure and keep Google Chrome from tagging it as Not Secure. 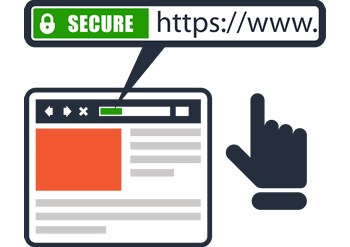 Get the green lock to enable HTTP Secure (https) for your site and help give your visitors peace of mind. We use the strongest encryption on the market and offer a range of SSL certificates to meet your needs. Not only is SSL a great security measure, it’s also great for boosting search rankings and getting more traffic to your site. We take care of it all. With options starting at $100/year we’ll purchase the SSL, install it on your site, and verify that it's properly installed and working so you don't have to worry about a thing. All you have to do is pick your SSL and we'll take care of the rest. Our WordPress hosting is designed for fast load times with each site optmized on our servers. Maintaining your Wordpress site is key and we can take care of your WordPress site so you don’t have to. Our managed WordPress maintenance packages will keep your site running at peak performance. Providing you with core WordPress, theme, and plug-in updates, as well as complete off-site backups and security scanning so you can sleep well at night. Need to update your WordPress content? Let us update your site for you, saving you hours of time in editing, modifying and adding new content such as pages, forms, logos, images, blog posts and more. Email for your business, simplified. We can offer your business a hybrid solution, providing Management with Hosted Exchange and Employees with Managed Business-Class, it’s the best of both worlds! Our Virtual Private Servers provide a scalable resource for your business. Fueled by Solid State Drives (SSDs) for increased power, speed and stability that allows businesses to masterfully run their websites and applications. Businesses experiencing high web traffic, running complex applications needing scalability or want maximum performance then our VPS hosting is for you. Don’t want to share your resources? 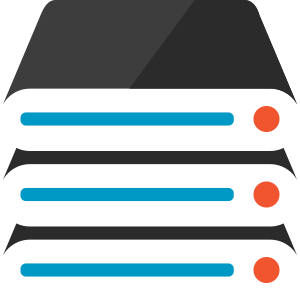 A dedicated server gives you the maximum control of your resources. Not having to share your hardware nor bandwidth means you’ll see an increase in overall performance, load times and security. We include a FREE SSL & dedicated IP Address for the life of your server. Fast and efficient load times.